Meralco turned on its Christmas lights last December 2, 2010 at the Meralco Compound in Ortigas. 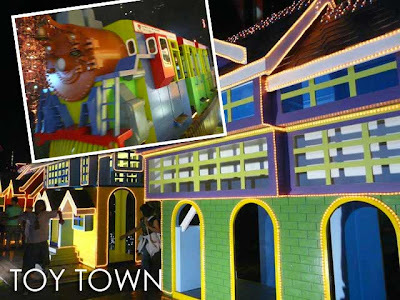 More than the usual Christmas lights and belen, Meralco created a candy-colored Toy Town complete with a life-sized electric toy train, opened its gates to the public and invited orphans and less-privileged children to be their special guests. I was present at the lighting ceremony which was attended by Meralco's top brass led by Manny Pangilinan himself, members of the Meralco Bolts PBA team and TV5 celebrities, government officials and guests, including those from their partner charitable institutions this year, namely Caritas Manila, Laura Vicuna Foundation and Childhope Asia. 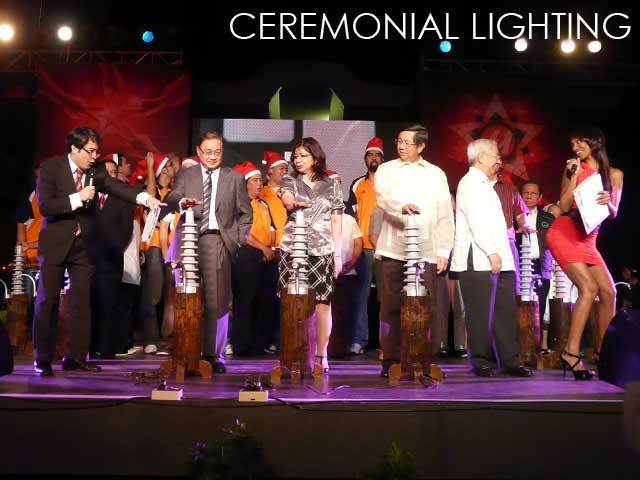 After enjoying a very Filipino cocktail spread served in the main lobby of the Meralco Building, we were ushered to a stage built right in front of the building for the brief program which culminated in the ceremonial lighting of the Meralco compound. The program ended with a grand fireworks display. 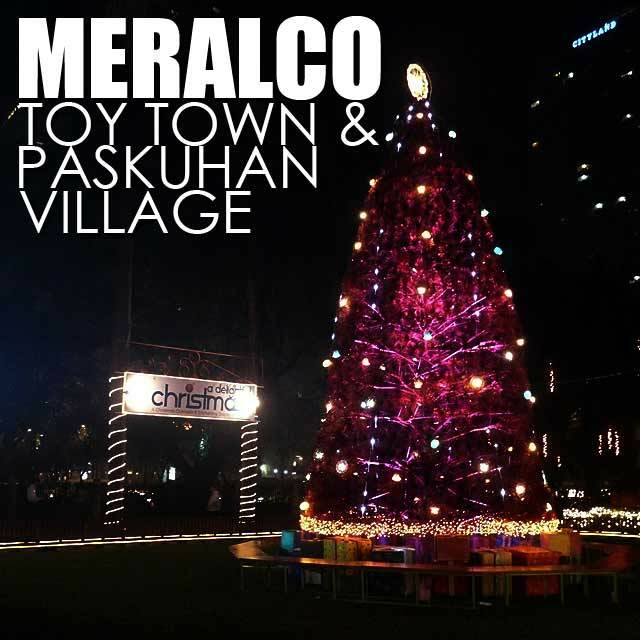 And guests were invited to visit Toy Town as well as Meralco's Paskuhan Village which includes its traditional nativity scene or belen. The village and the belen were fashioned-out of recycled copper wire. 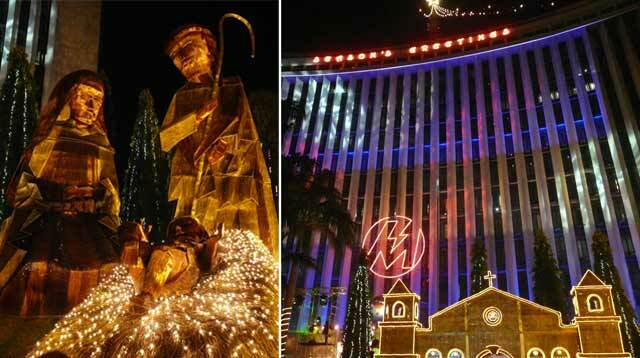 For Meralco, lighting up the Meralco Compound symbolizes the light of Jesus Christ whose coming to the world brings joy and hope to Filipinos, young and old. 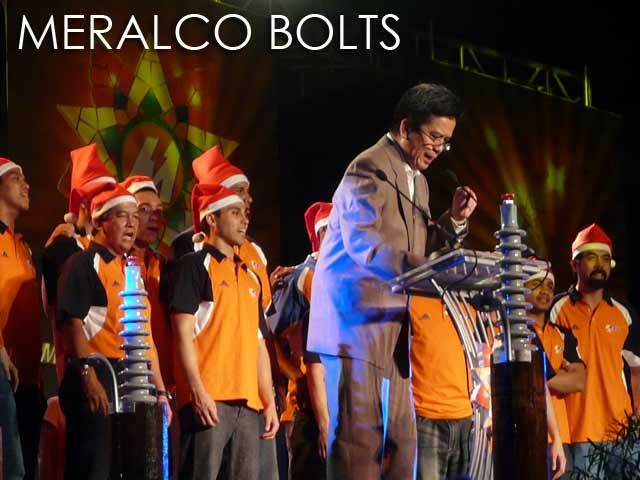 Getting inspiration in the symbolism of the Christmas lantern or parol, Meralco brings light and warmth to its customers through its different Christmas initiatives, which includes Maliwanag ang Pasko, an annual campaign which recognizes nine of the brightest and best-decorated homes in the Meralco franchise. 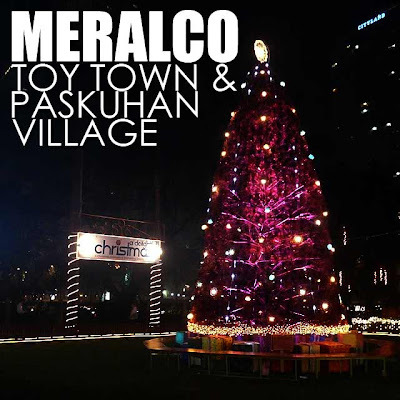 So if you happen to pass by the area, note that Meralco opens its head office compound to children and the child-at-heart with its Christmas village! See the Christmas tree and belen made up of copper wires and powered by electricity of course! 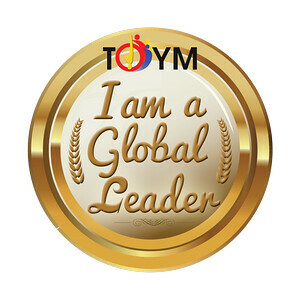 And ride the train around Toy Town. Hello Sir Ivan! Is the compound open everyday for everyone? 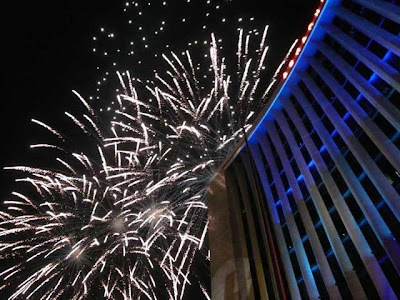 what time will it be open tomorrow, monday Dec12?